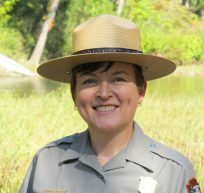 The National Park Service announced that Laura Miller, currently the acting superintendent of the Buffalo National River, has been selected to be the superintendent of Hot Springs National Park. She will assume her new role in August. Since 2014, Miller has served as the Deputy Superintendent of Buffalo National River. She led efforts to develop new partnerships and to begin several new plans, including a visitor use study, to help the park better serve visitors and to provide guidance for the park’s future development. Prior to joining the team at Buffalo National River, Miller was instrumental in the establishment and development of two other National Park Service units in Arkansas: Little Rock Central High School National Historic Site and the President William Jefferson Clinton Birthplace Home National Historic Site. Miller has long been active in the history and museum communities in Arkansas. She is a past president of the Arkansas Historical Association, the Arkansas Museums Association, the Little Rock Museums Consortium, and the Arkansas Women’s History Institute. She has also served on the National Park Service’s Civil War to Civil Rights national planning team. A San Antonio, Texas native, Miller grew up in Central Arkansas and earned both her bachelor of business administration and Master of Arts in public history through the University of Arkansas at Little Rock. An avid hiker and kayaker, Miller is looking forward to relocating to the area and enjoying all the lakes and trails surrounding Hot Springs.